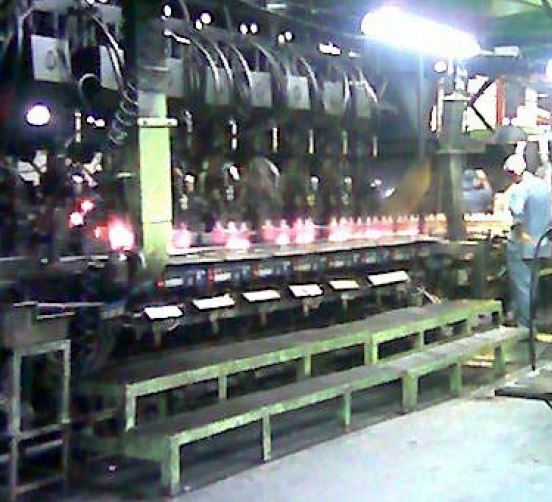 The collaboration with Malaya Glass began in 2004, when a new vacuum system for the Bottero IS machines was installed. 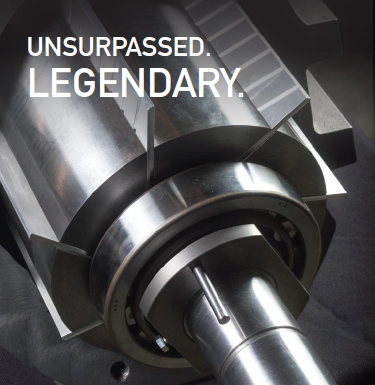 Resulting in full customer satisfaction, two model UV8 and two model UV16 pumps with all dedicated accessories operate continuously since then. The objective of high-speed container glass manufacturing with the lowest available rejection rate was achieved. 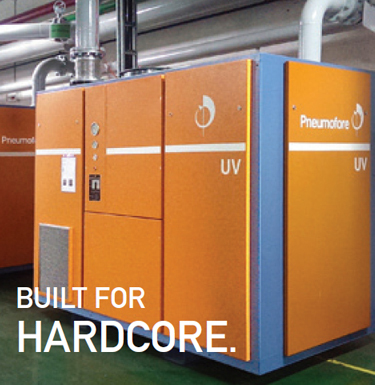 In October of the same year, the installation of a second UV pump system followed for the Malaya Vietnam Glass Plant. No Service Center existed in that area at the time, so Pneumofore technicians thoroughly trained the customer team for the operation and maintenance of the pumps. While productivity was increased by 5 to 10 % thanks to use of vacuum in the moulding process, any attention required to keep the vacuum system performance was provided by the customer. 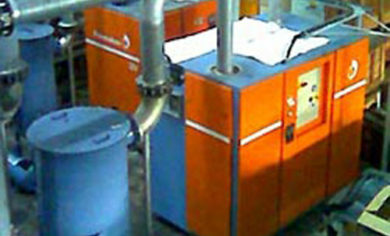 Considering the challenge posed by a climate with an average ambient temperature of 30°C and high relative humidity averaging 70%, doubts about air-cooled vacuum pumps initially existed in early 2004, but quickly disappeared.The desire to maintain high vacuum capacity also at low pressure levels of 200 mbar(a) was fulfilled. The vacuum installations are positioned close to the IS machines, if not right next to them. 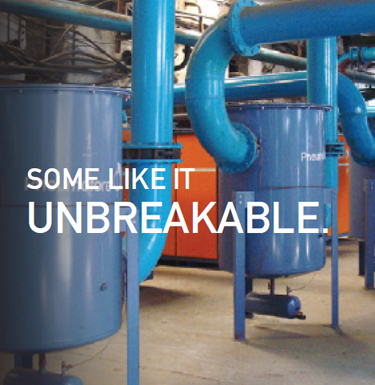 The ‘plug and play’ feature of UV pumps was appreciated for the simple and immediate connection to the vacuum piping system, with no need for foundations or cooling water connections. Since the start up, the customer was further impressed by the silent operation at 72 dB(A) and the low need for maintenance. The two pictures illustrate this last installation, which resulted from dedicated engineering in the project preparation phase. This process also strongly reinforced the reciprocal trust and respect of the involved companies. 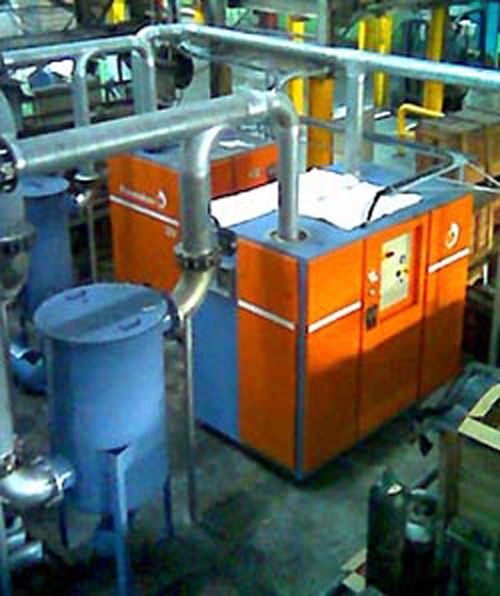 In 2005, the third and largest vacuum system was ordered, consisting of one UV30 and one UV16 vacuum pump for Kuala Lumpur Glass. The commissioning was executed in January 2006 by a Pneumofore engineer with the support of the Pneumofore distributor and Service Center from Bangkok, Thailand.